Jinder Mahal is being photographed with the WWE Championship – even though he hasn’t won it yet – until Commissioner Shane McMahon stands behind him. He tells Jinder that “titles are earned” and takes back the championship. He also informs Mahal that he will be wrestling Sami Zayn tonight! The regular Smackdown! Live opener then plays. Commissioner Shane McMahon enters the arena in Fresno, California. After giving props to the fans, he welcomes Chris Jericho, who won the United States Championship from Kevin Owens at Payback, to the roster. Jericho is happy to be on Smackdown! and McMahon tells him he will be wrestling Kevin Owens in a rematch for the title tonight. A.J. Styles interrupts and reminds Chris of their history. He also reminds Chris that Smackdown! is “the house that A.J. Styles built.” Jericho retorts, wanting to put Styles on “The List” for interjecting, but Kevin Owens now does. He is not pleased with all in the ring and vows to regain the United States Championship later tonight. Owens orders A.J. to vacate, so he does and charges right for Kevin! They brawl in the aisle until referees and McMahon separate. Later tonight, Women’s Champion Naomi and Charlotte team-up to face Natalya and Carmela. During entrances, a recap of last week’s Talking Smack with Sami Zayn and Baron Corbin airs. They lockup and trade holds. Sami rolls and twists his way out of a wristlock, but Mahal puts him to the canvas. Jinder whips Zayn to the ropes but Sami counters with a headscissors, and then dumps him to the floor soon after. Mahal is now in control, hammering away on Sami with an elbow and then wearing him down with a grounding rear chinlock. He catches Zayn off of the ropes in a tilt-a-whirl slam for a near-fall! Jinder springboards a few kneedrops on Sami’s head and then presses his knee against Zayn’s face. He hits Sami a couple of times with elbows and then a short-arm clothesline! He goes for a superplex out of the corner, but Sami headbutts to counter. He leaps off of the turnbuckle but Mahal stops the dive! Soon after, Zayn regains momentum again and almost takes this with a crossbody from the middle turnbuckle! One of the Singh Brothers hops the apron and Mahal small-packages Sami for two; Zayn reveres into one himself for two! Sami springboard-armdrags Jinder and then goes for his Helluva Kick, but the same Singh Brother pulls Mahal out of the away. The other Brother yanks Sami’s leg, and Jinder capitalizes with a Cobra-Clutch Full-Nelson Slam! Mahal covers to receive the victory! Shinsuke Nakamura’s career highlights – thus far – are shown. Dolph Ziggler is talking to a couple of unknown wrestlers about Shinsuke. He also criticizes Commissioner McMahon and General Manager Bryan for making Nakamura star. McMahon is behind and Ziggler threatens that Sin Cara, who he is facing later, will be in harm. Aiden is aggressive early, pounding away on Tye. “The Perfect 10” his back with a running forearm and stomps away soon after in the corner. He quickly completes this with his finisher, a T.K.O. knee-to-the-face! Rene Young interviews United States Champion Chris Jericho until Aiden English walks by. He appears to be crying, which Jericho calls him out for and puts him on “The List,” as well as Rene! Replays of Tamina, Natalya, and Carmela disrupting the Women’s Championship Match from last week’s Smackdown! are shown. Dasha asks Charlotte about the Women’s Championship situation. Carmela walks up and then she, Tamina, and Natalya attack Charlotte, throwing her against equipment tubs! Unfortunately, Charlotte does not show-up, so it is just Naomi. She actually has the upperhand a few times but Natalya and Carmela soon take over and dominate for a while. Naomi and Natalya run at each other with a double-crossbody, and then Charlotte’s music plays! She slowly walks to the ring and climbs on the apron. Naomi makes the hot-tag and Charlotte cleans house on Carmela and Natalya until Nattie hits her with a discus clothesline on the apron. Carmela now has Charlotte tied in a leg-scissors but Charlotte slams out of it; Carmela slams back and then rapidly stomps on Charlotte! The Women’s Champion gets tagged in and has the momentum; she hits the Rear-View Smash on Carmela, but Natalya distracts the ref! Carmela takes advantage with a roll-up for the 1 – 2 – 3! Post-match, Tamina, Carmela, and Natalya beat up Naomi and Charlotte until Becky Lynch makes her way out. She shakes Tamina and Carmela’s hand, looking like she’s joining them. She motions for a hug but then throws him into Tamina! She goes after Carmela and Natalya, but they are too strong and attack back and then escape to the aisle. This one, surprisingly, goes back-and-forth for a bit until Dolph hits a superkick to complete! Tyler Breeze and Fandango present “The Fashion Files.” This takes place in a “Police Office,” with pictures and headlines of recent on-goings in WWE posted on a billboard wall like a crime-scene trace. 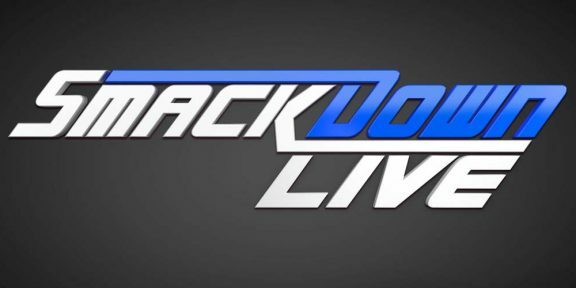 They rip on a few teams, in particular Tag-Team Champions The Usos, who they will face at Backlash on May 21. United States Champion Chris Jericho and Kevin Owens make their entrances for their bout, next! The two punch away right off the bat and brawl for a little. Owens soon gains control, dropping himself onto Jericho with a senton-splash! He chops in the corner and then whips Jericho into the opposite one, but Chris elbows back and launches off of the middle turnbuckle with a missile dropkick! Jericho throws Kevin into a turnbuckle, but misses the follow-up splash and tumbles to the outside. Owens follows with a Cannonball Splash against the corner barrier! The U.S. Champ counters a couple and tries his Springboard Moonsault, but Kevin lifts his knee. Owens goes for a Cannonball but misses and Jericho hits the Lionsault for two! He traps Kevin in the Walls of Jericho but Owens crawls and gets the bottom rope for a break! Kevin hits a superkick for a close-one, and then goes for the Pop-Up Powerbomb! Jericho reverses with a hurricanrana and struggles, but manages to clamp Owens in the Walls again! Kevin edges again and slides under to the floor. Chris goes for a baseball slide, but Owens moves and dumps him on the concrete of the aisle. He puts Jericho back in the ring and then hits another superkick for a very close-fall! “Y2J” small-packages Kevin for two, but Owens suddenly whips him into the ropes and plants him on the canvas with his Pop-Up Powerbomb! He covers for the victory! Post-match, Kevin is in the aisle while medical personnel run out to check on Jericho. Owens slides back in and gives Chris another Pop-Up Powerbomb. He yells “you were never my best friends,” and then takes his U.S. Championship. Referees order him out of the ring, and Jericho is helped out of the ring. Owens runs back out, hitting Chris again. He places a chair around Jericho’s head and smashes him into the ring post. Jericho is bloody in the mouth as Kevin walks away to close the show.